Thank you for your letter. It makes reassuring reading for those of us who voted for Brexit and which you promised (along with the Labour party) to deliver. 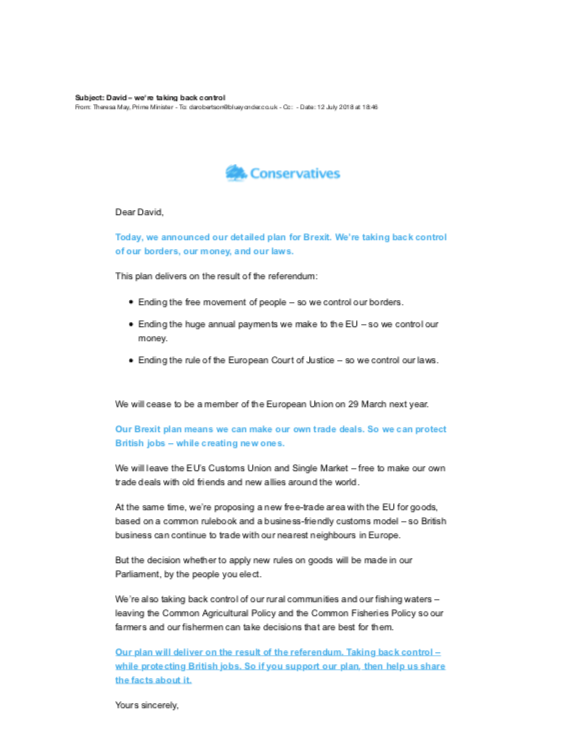 According to your letter we are leaving the EU, the Single Market, the Customs Union, the CFP, the CAP and the ECJ. We will be free to make our own trade deals and we will control our own laws and borders. All of that is tremendous (at least for those of us who see the importance of leaving the EU). I can also appreciate that you have an incredibly difficult task. You lead a nation that overall voted to leave the EU and head a parliament that overall doesn’t want to. You also have almost the whole Establishment (leading academics, politicians, civil servants, media and Church of England bishops) who don’t want to leave. Plus the EU Commission, who don’t have to answer to any electorate, can play hardball without any consequences. You are stuck between a rock and a hard place. Of course the hysteria and shouting will only increase all the more as we approach next March (even tonight I have just read a tweet from a ‘responsible’ politician warning about planes not flying, the NHS collapsing and no food on the shelves!). Please remember most of the dire warnings put out by government departments and all the ‘experts’ who (for mixed reasons) wanted us to stay in, have turned out to be false. Take one example – the expected decline in overseas students. Except contrary to the doom and gloom prediction, a record 125,000 foreign students have applied to study at British universities this autumn, including over 50,000 from EU, up 2% on last year. Big business are certainly concerned – for a good reason. The EU and the ability to move around, get the cheapest labour and the freest market, move capital at will, suits them. But for small business it is different. “Big listed companies tend to over emphasise short term difficulties that follow a dramatic event like Brexit and under emphasise both the possibility of adapting and the long term benefits once things have settled down. Few small businesses have spoken about Brexit because “they are potential winners from Brexit since they gain little or nothing from the single market but suffer from a welter of EU driven regulation” (Roger Bootle in The Daily Telegraph). It was somewhat disappointing that your senior Remain ministers met with Airbus before the Chequers meeting, and then coincidentally the scare stories about them pulling out of the UK post-Brexit appeared. You would almost think it had been planned! Scotland saved your bacon and your majority…just. Despite the media obsession with personalities let me tell you that the primary reason was not Ruth Davidson, but rather your promise to fulfil the referendum result and take us out of the EU. Over a million of us voted for that, and for many of us that was probably the most important factor in our decision. We live in a country where the SNP is more obsessed with staying in the EU than Scottish Independence (their international spokesperson Stephen Gethins even said on the BBC this morning that Brexit was the most important decision facing Scotland since ‘the war’ – apparently even more important than the 2014 Independence referendum!) – so those of us who want to be free of the EU have to look elsewhere. But now you have a problem. Because if you don’t deliver a real Brexit, then there is no chance that we will vote for you at the next election. And I suspect the same goes for many working class people in England (who are now far more likely to vote Conservative). So these past few days have been a big shock to many of us. Does your Chequers agreement mean that the Brexit dream is dying? The evidence certainly seems to point that direction. It looks a lot like a Remainer coup….We now have a Prime Minister, chancellor, foreign secretary, defence secretary, health secretary, education secretary and Lord Chancellor who all voted Remain. Having a minister for Brexit who voted leave is just tokenism. You had a Brexit committee including cabinet ministers like David Davies…..draw up a report. But you then had a secret report drawn up by officials (who are of course overwhelmingly Remain) which you introduced to the cabinet after confiscating their mobiles and telling them if they didn’t agree they would have to walk home or get their own transport! The Telegraph reported: “Mr Baker states that the Brexit department had drawn up a “white paper” which set out workable proposals in line with Mrs May’s previous public speeches. Following the appearance of Mrs May’s own white paper ahead of a Cabinet meeting at Chequers to sign it off, Mr Baker realised “large sections of the Government were working on the Chequers plan, and they’ve just had a coup de grâce at the last minute”. You stood with President Trump and declared to the nation (despite what he had said the previous night). “There will be no limit to the trade agreements we can make after we leave the EU”. But you know that that is not true. If we sign up to follow EU rules and regulations of course we will be limited. President Trump would be better negotiating with the EU, because we will already have promised to follow their terms. You said to Andrew Marr that people voted with their hearts but you had to act with your head. Forgive me but that is more than a little patronising. Actually for me it was the other way round. My heart told me that it would be a better thing to be in the EU, but when I thought about it and did some research my head came to a different conclusion. In fact watching the hysteria of the flag waving EU nationalists should make you realise that many of those who voted for Remain did so from the heart (and wallet) rather than from the head. 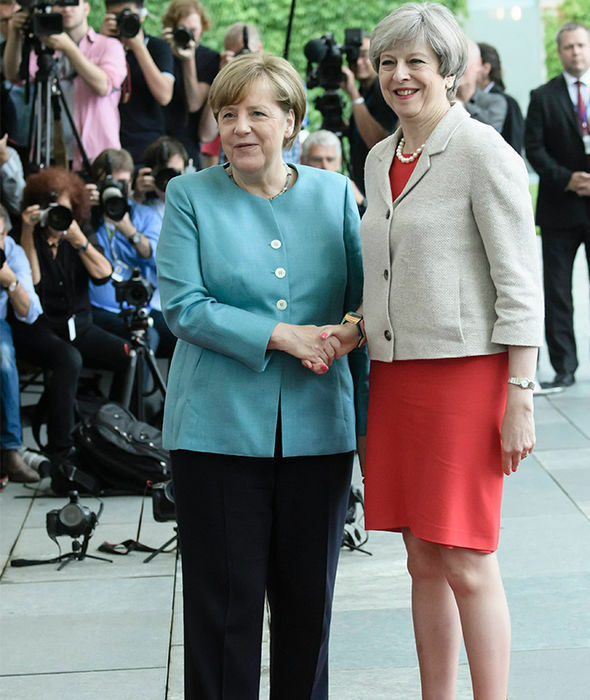 You seem to have a lot of trust in the EU – but it was still a big mistake to visit Mrs Merkel and tell her the details of your plan before you told your own cabinet. Do we really have to get approval from the German Chancellor? On the Andrew Marr show you stated that you changed our Brexit proposals because the EU told you the original plans were not acceptable & that was “non-negotiable”. Isn’t that the point of negotiations? You have also said that you will not walk away…. thereby you are committed to doing whatever the EU tells you. They don’t have to budge, and they don’t really have to offer you anything because you have already said you will accept it. If you never walk away, or if you are daft enough to offer another referendum (the EU’s favourite trick) then any deal you will be offered is dreadful. This is where you need to stand strong. The EU is absolutely ruthless (just ask the Greeks). One example of that was last week when news came out that they were blocking millions of pounds going to UK Aid organisations because of Brexit. They really are prepared to punish the poor in order to get their way! Another is the Irish Prime Minister declaring that the EU has given him the authority to ban UK planes flying over Irish airspace – the threat level really is being pumped up when the EU makes these kind of threats (the Irish PM is just a poodle for the EU). You need to show firm leadership and stand up to this posturing and bullying. You seem to be relying on the EU to give you what you want because, as one EU official put it ‘this reads more like someone applying to join rather than leaving’. You also seem to be relying on the fear of Jeremy Corbyn being elected and the TINA approach of your predecessor, Mrs. Thatcher. There Is No Alternative. But that will not work. Why? Because there is. If we are going to be under EU rules whatever – and if our votes in a referendum don’t really matter – then what substantial difference does it make which particular political colour runs the country on behalf of the EU? If a real Brexit is not delivered (Bino – Brexit in name only) then you will kill the Tory party. Already your support is falling in the polls and UKIP is experiencing a resurgence. The fear of Corbyn won’t keep you in power. To be honest I don’t care too much about the death of any particular political party. What bothers me a whole lot more is the death of democracy. Not only will we continue to have large areas of our laws determined by Brussels, but also people will have received a message that their vote doesn’t really matter because the Establishment will always get their way in the end. The bottom line is that you are in a hole – the disastrous decision to call an election which was about ‘strong and stable’ leadership has resulted in a weak and unstable government that is paralysed by fear and indecision. The failure to prepare for or even countenance the possibility of a no-deal Brexit has ironically made such an outcome more likely. Over the next few months you now have to show real leadership and courage. Forget about holding your party together, appeasing the EU or even preserving your own position. Do the right thing. Prepare us for Brexit. A real, meaningful Brexit – not Bino. I don’t envy you. Important as Brexit is, there is something way more important than being in or out of the EU. As is obvious from the above I would much prefer us to be out of the EU but other Christians think that it is better to be in. Its not the most vital issue facing the nation. There is something that is far more essential. Something which this nation was founded upon, something which was a key pillar of the Union you are seeking to defend. That is Christianity. Every social, political and cultural organisation has ‘values’. Your government speaks often of ‘British values’ but these seem to be assumed rather than explained – and the foundation seems non-existent. How wonderful that such a sermon could be preached in Parliament. Could that happen today? Sadly it seems as though the Established church is really just the spiritual wing of the liberal establishment, parroting the latest social trends rather than proclaiming the word of God. 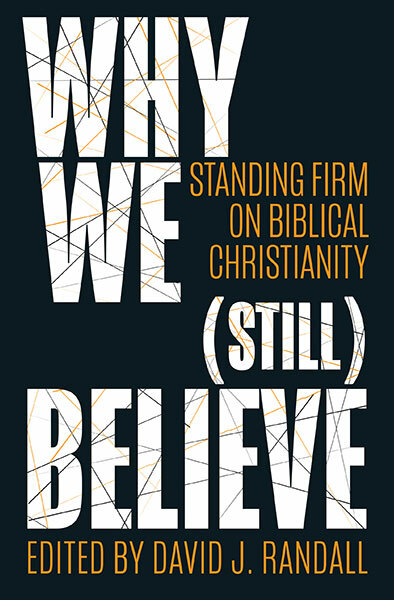 Although I was greatly encouraged by this from Tim Keller. A ‘day of solemn humiliation’. Sounds serious. It is. It is when the leaders and people humble themselves before God, fast and pray, and seek his guidance – acknowledging that we are not the strong and stable ones. He is. It says a great deal about how much British ‘values’ have changed that even to make such a suggestion today would be considered ludicrous. At a personal level it is important that every individual comes to know and love Christ. All of us, whether prince, prime minister or pauper will one day stand before the throne of the King of kings. At a leadership level I’m sure you would agree that peace and prosperity for the nation have to be your aim (remember that Owen was writing in the midst of a fierce civil war). But it is how these things come about that creates the major problems. 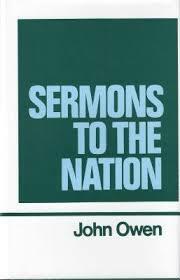 Owen suggests that if we leave God out of the equation or just have Christianity as some kind of opt in cultural extra, then we will never get that peace and prosperity. Sin is a reproach to any people, but righteousness exalts a nation. This is not a call for a theocracy – but it is a call that the ‘British values’ your government keeps mentioning are based upon our traditional Christian values and not the latest passing fashion of the liberal elites. I was more than a little saddened to see that whilst you seem to be confused about political issues such as Brexit you seem to have no such doubts about promoting anti-Christian values and indoctrination in our schools. Leave or Remain is important as regards the EU. It is vital as regards Christ and his word. We choose to leave our Christian heritage and we will find that having sown the wind we will reap the whirlwind. We remain (or enter) into a new relationship with Christ then perhaps we will see the blessing that once made Britain Great. Please be assured of our prayers for you – our Lord commands us to pray for ‘king and all those in authority, that we may live peaceful and quiet lives in all godliness and holiness” (1 Timothy 2:2). We pray that you would know the Lords’ strength, peace and wisdom. We pray that you would know the Lord. And we pray that we may continue to have the freedom to live, practice and proclaim our faith. PS. I am not writing this as one of your enemies – indeed I wrote this piece a year ago defending you. The PM’s letter to you is identical to that sent to an acquaintance of mine, so it is good to know she, or at least her office, are being consistent! I look forward to knowing if you receive a reply or not to your follow-up. Having read three Varoufakis books has now left a bad taste in my mouth with regards the EU and I sympathise with those who voted Brexit. But this is the statement that concerns me most about leaving. Irregardless of what happens, leaving the EU will create an upheaval and I don’t disagree that it may be better years down the road, but how many people will lose their jobs and suffer in the meantime. I won’t, and you won’t, as people will still go to church. Varoufakis said that it would have been better to stay outside the Eurozone but now that he was in it, he couldn’t see past the short term suffering it would create in Greece to advocate leaving it. I’m not someone who goes around advocating the tearing down of statues of Britains imperial past but surely back when Britain was “great”, it wasn’t because we were being Christlike to most of the world. Well that is always true, but the rate of that equation going one way or the other is important. A 1% contraction of the economy doesn’t seem like much unless you’re the extra few thousand people losing your job. Is it worth it? Nobody from the Brexit side has presented a plan to convince me that it is and that it won’t take 20-40 years before life returns to normal. You should seek clinical help David. I’m sure there’s a name for the syndrome you have. A wonderful exposition of the current situation regarding Brexit David and thank you for clarifying what Bino stands for. Like you I voted for Brexit. Like you I voted Conservative at the last GE. The reason for this was delivering Brexit but it was also my belief that the Conservative Party in Scotland was the only party which could tackle the growth of a very aggressive form of Nationalism which seems to be going under the radar in the rest of the UK. I am always bemused by reports from the BBC which warn us about the rise of far right wing movements across Europe but which fail utterly to analyse let alone report on the rise of a virulent nationalism spreading its hatred and venom 350 miles north of the capital. It is like a scene from Police Academy where the hapless cop looks everywhere but at the real crime which is going on behind him. The SNP is more interested in EU than independence (or so it appears) for one reason only. 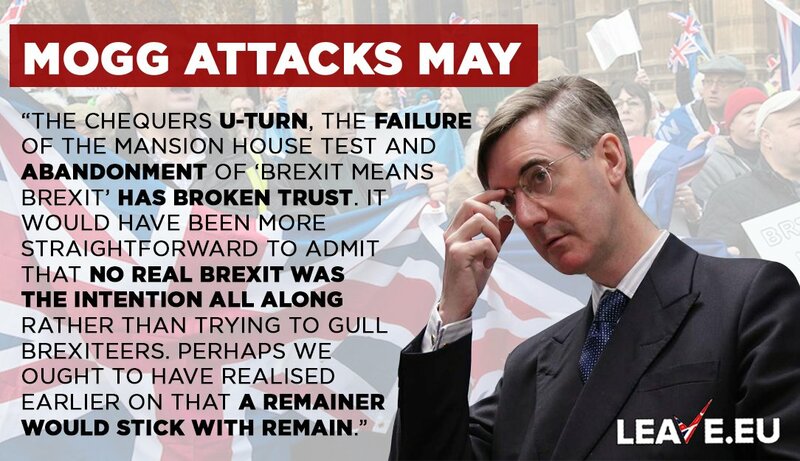 They are hoping that the convulsions being caused by Brexit and the weak, lamentable leadership it is exposing will hasten the break up of the UK. Democracy is slowly being strangled in Scotland. Hatred, division, grievance and grudge are being sown and nurtured by the SNP Government. In all my years I have never known a sitting government at UK level to speak so disparagingly of other parts of the UK or to openly espouse what amounts to racism. This is going on unopposed and unchecked largely in Scotland. Of course, the Church of Scotland is in cahoots with the SNP. This is a church which took no view on a 300 year old union (which enshrines it existence in law) but urged us to remain in a 40 year old union as the decision to leave would be catastrophic. Its silence during the two year campaign of relentless SNP propaganda was disgraceful and once again shows the cowardly, irrelevance of the CoS. The sooner it has NGO status conferred upon it by its SNP masters the better. But back to voting. Sadly my choice of Conservative to tackle SNP and its nationalist onslaught and push through Brexit looks sadly misguided. Ruth Davidson’s recent article on Donald Trump’s visit to UK and Russia comes straight out of the sixth form debating society. With the exception of one or two Conservatives in Scotland they are proving to be equally useless as Labour when defending the Democratic freedoms this country has enjoyed for some time. Hard fought freedoms it has to be said and ones which could be destroyed by a handful of votes in another indyref. I stand to be corrected but wasn’t John Knox supported by the avaricious nobility whose wealth increased greatly as a result of the Protestant Reformation? And was not Mary a rather weak monarch as a result of the opposition of those nobles? Another preacher of the sixteenth century who stood up to a monarch who some might regard as godless leading his nation down the path of unrighteousness was John Fisher, Bishop of Rochester. He stood up to Henry VIII knowing the certainty of his execution. Yes, I agree with all you have written in this post David. Hope to meet you when Roy and I plan to visit St Peter’s again in September. When we came in June, you were in Australia. Theresa May had a simple choice: Do something to help restore trust in politicians or do everything she could to keep us under the control of the EU. It seems that she has chosen the latter.